Four sisters. A house with a past. One secret summer. When fifteen-year-old Margot Wilde and her three sisters arrive at Applecote Manor in June 1959, they expect a quiet English country summer. Instead, they find their aunt and uncle still reeling from the disappearance of their daughter, Audrey, five years before. As the arrival of two handsome neighbors divides the sisters' loyalties, Margot is drawn into the life Audrey left behind and the mystery of her vanishing. Fifty years later, Jessie is desperate to move her family out of their London home, and gorgeous Applecote Manor seems like the perfect solution. But once there, Jessie finds herself increasingly isolated, at odds with her fifteen-year-old stepdaughter, and haunted by the strange rumors that surround the manor. 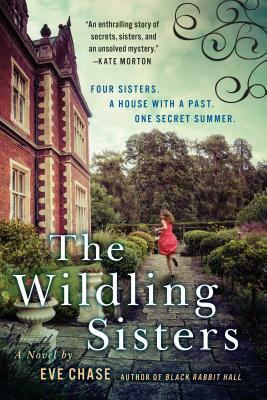 Rich with heat and angst, in The Wildling Sisters the thrill of first love clashes with the bonds of sisterhood, taking readers on a breathless journey into the darkest secrets of the human heart. Eve Chase is the author of Black Rabbit Hall and The Wildling Sisters. She lives in Oxford, England, with her husband and three children.